Congress passed a health care reform with the intention of expanding health coverage containing skyrocketing costs. Dementia is responsible for a significant portion of those costs. The ADI report explains why a staggering 35.6 million people worldwide live with some form of dementia; that number is expected to increase to 65.7 million by 2030. 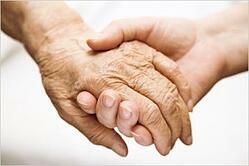 Fully one percent of the world’s gross domestic product is spent on dementia care. As a society, we must find ways to provide the care needed by those who suffer from dementia at a cost that doesn’t overly burden our citizens. It won’t be easy: ADI estimates that 42 percent of current expenditures are due to the estimated value of unpaid care— the work that family and friends provide to the sick. What are your ideas? How can we creatively and compassionately address the rising numbers—and costs—of dementia patients?